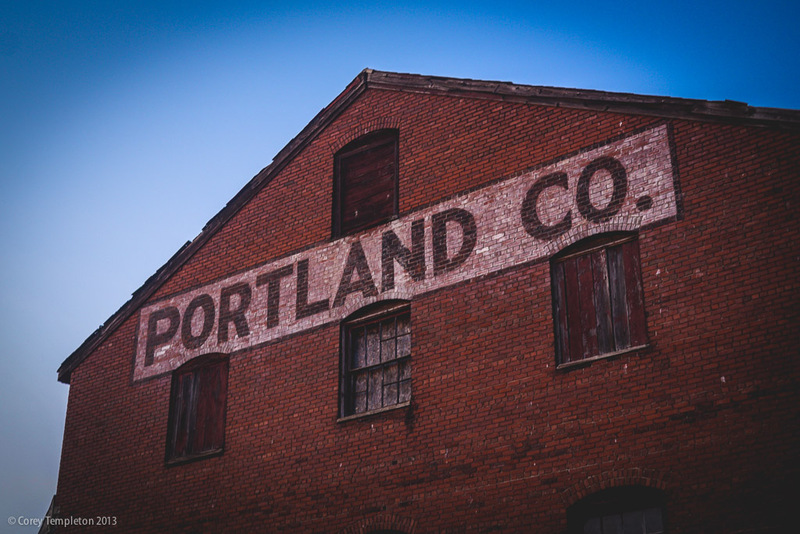 Corey Templeton Photography: Portland Inc.
A sign painted on a building that is currently part of the Portland Company Marine Complex. The Portland Company's 10-acre property on the Eastern Waterfront was sold earlier this month. There are not immediate plans for change, but it will be interesting to see this area change over time. Just opened your yesterday's "Then and Now".